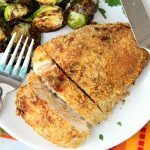 Air Fryer Parmesan Chicken – A mixture of Parmesan cheese and breadcrumbs make this chicken an easy and delicious meal the whole family will love! Happy Friday! Where are my air fryer fans? You know who you are! 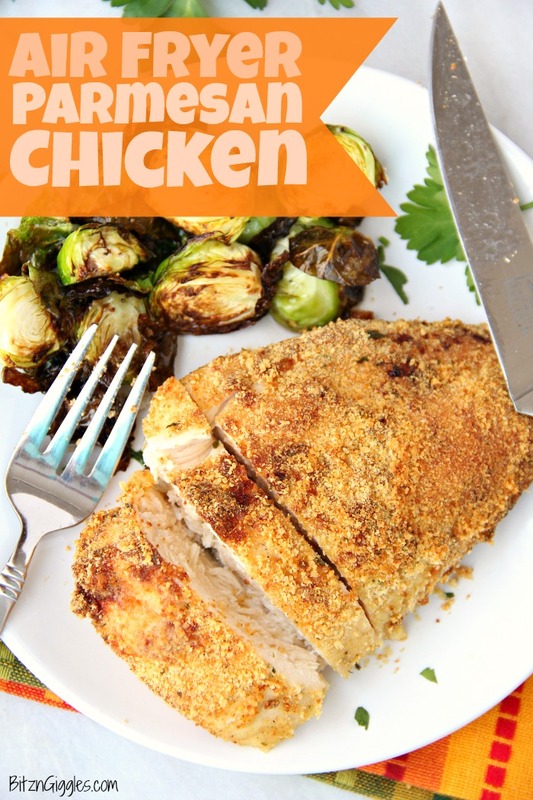 I’m back today to share a recipe for Air Fryer Parmesan Chicken. 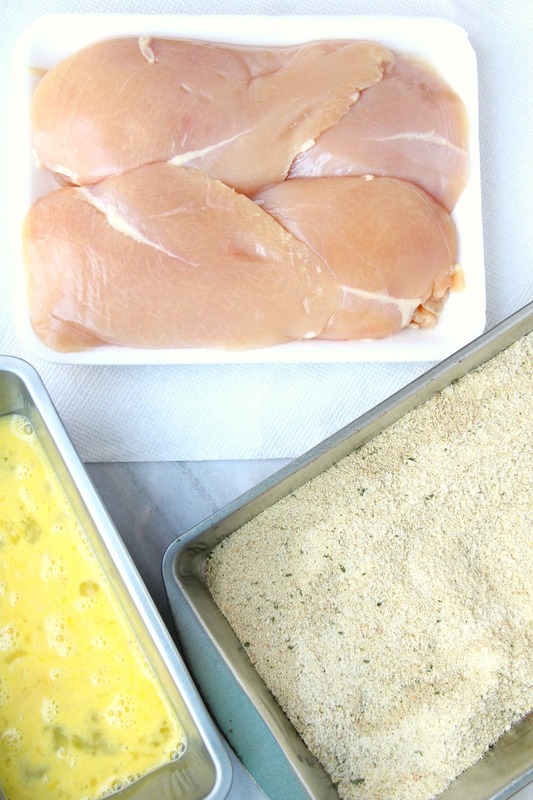 This really is one of our family’s favorite meals and it’s literally FOUR ingredients! That’s it? Yep, that’s it. This is my go-to when I’ve taken chicken tenderloins out of the freezer. I use tenderloins rather than chicken breasts because I find that they cook a bit quicker. If I can save time preparing dinner, I’m in! You, too? I thought so. 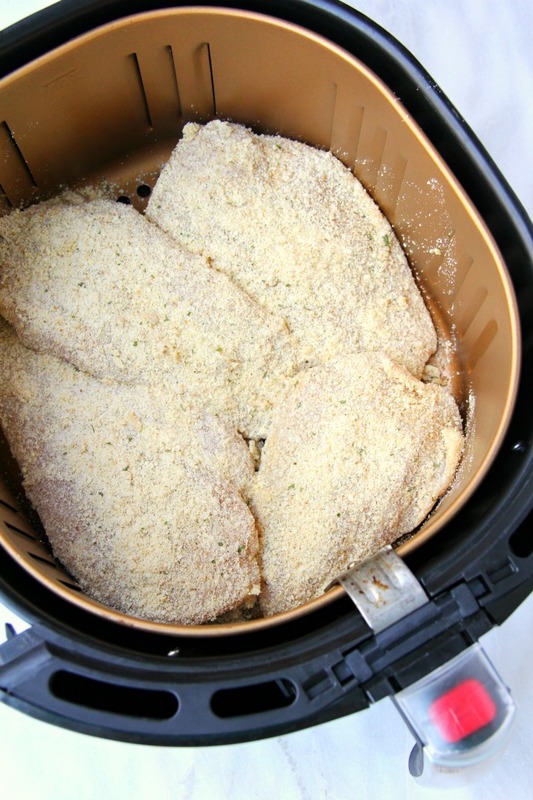 This air fryer parmesan chicken is ready in under 15 minutes! All you need to do is get out two pans. In one will be a mixture of the Parmesan cheese and breadcrumbs. In the other, you’ll put your beaten eggs. My egg container is actually a loaf pan, and it works great. After you dredge your chicken breasts in the egg and then the breadcrumb mixture, you place them right into the basket of the air fryer. And voila! 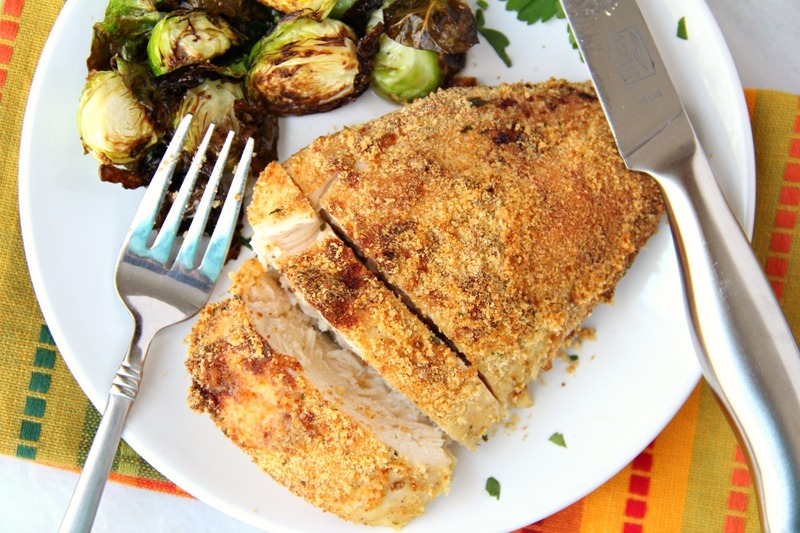 You have delicious crispy-on-the-outside and moist-on-the-inside chicken. Perfection. I usually whip up some of these brussels sprouts in the air fryer, too, to serve alongside the chicken. Now who’s ready to dig in? 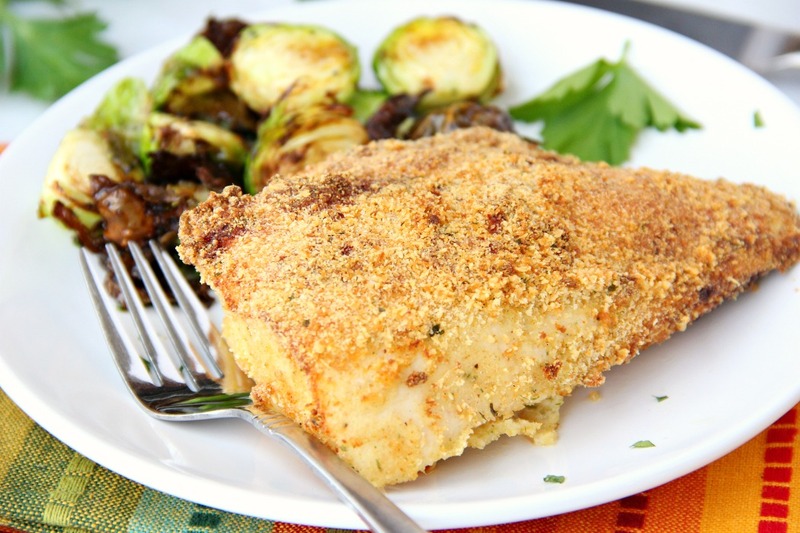 A mixture of Parmesan cheese and breadcrumbs make this chicken an easy and delicious meal the whole family will love! Mix the Parmesan cheese and breadcrumbs in a shallow baking dish. 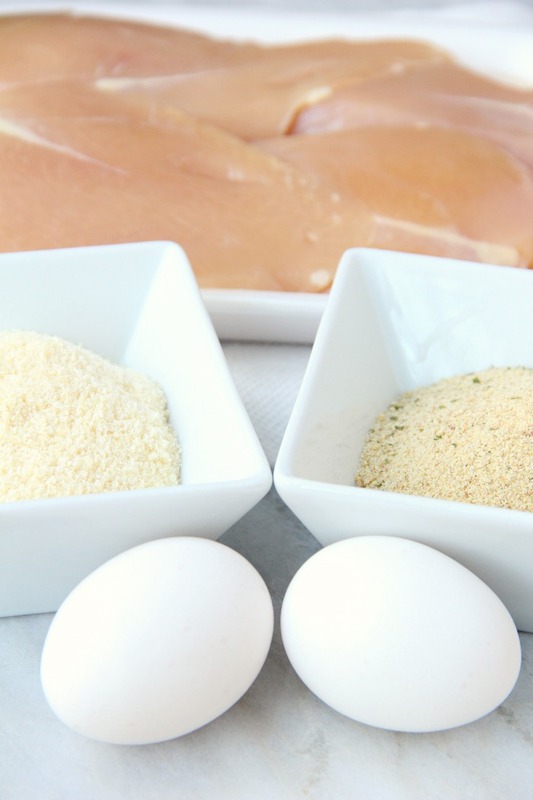 Dip the chicken breasts in the egg mixture and then into the cheese and breadcrumbs. Spray the air fryer basket with nonstick cooking spray. Place the chicken breasts in the air fryer – ensuring they don’t overlap. Bake in air fryer at 360º for 12-14 minutes or until internal temperature of chicken reaches 165º Fahrenheit. Looks yummy. Thanks for the air fryer recipe, I love mine and I’m always looking for new recipes.